One of the best ways to see the rolling hills of the northern Willamette Valley is from the seat of your own bicycle. The Wine Country Ramble offers a dedicated route that cycles by a dozen fantastic wineries. You can take a pit stop for a vineyard view or even a peek into the tasting rooms (perhaps gear your bicycle so that you can carry-out a few bottles to enjoy post-ride). For turn-by-turn directions of the trail that you can send directly to your mobile device, make use of Ride with GPS. The trail page also includes a helpful map with points of interest plotted along your riding path. Start your ride in charming downtown Forest Grove. Heading west, though, you’ll soon be transported into the scenic farmlands that rollout just beyond your crossing of Gales Creek. 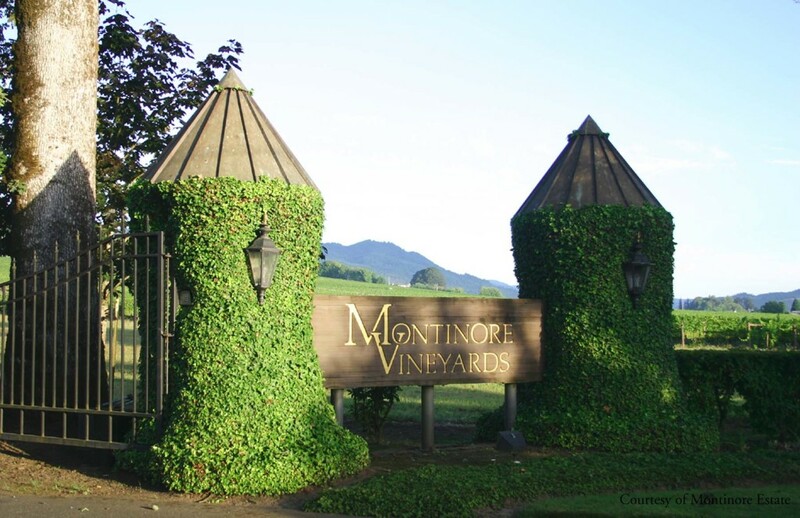 The first winery to come into view is—lucky for you—Montinore Estate. The biodynamic vineyard shows off the best of the season, whether it’s fragrant flowers blooming or leaves changing colors around the patio. Pop into the classic tasting room for sniffs, snips and an education of biodynamic wines. Once in Gaston, an array of amenities become available. For a quick refuel, Scoggins Creek Coffee brings the coffee and pastries. Gaston Market has on-the-go snacks, too. If you’re ready for a great dive bar burger, then The One Horse Tavern will do the trick. The ride can take as long as you’d like, especially since you’ll pedal past eight more wineries along this route. Post-ride, kick your feet up at the bar or movie theater of the McMenamins Grand Lodge. Better yet, book a night there and take a night dip in their healing soaking pool. Beautiful rolling hills, cycling and scenic views of world-class vineyards and wineries. We call that a day well spent. For even more cycling routes, read our guide to cycling in Tualatin Valley. Notify me of new Trip Ideas by email.